Oregon grape doesn't produce an interesting flower, I don't know why it is the state flower of Oregon. 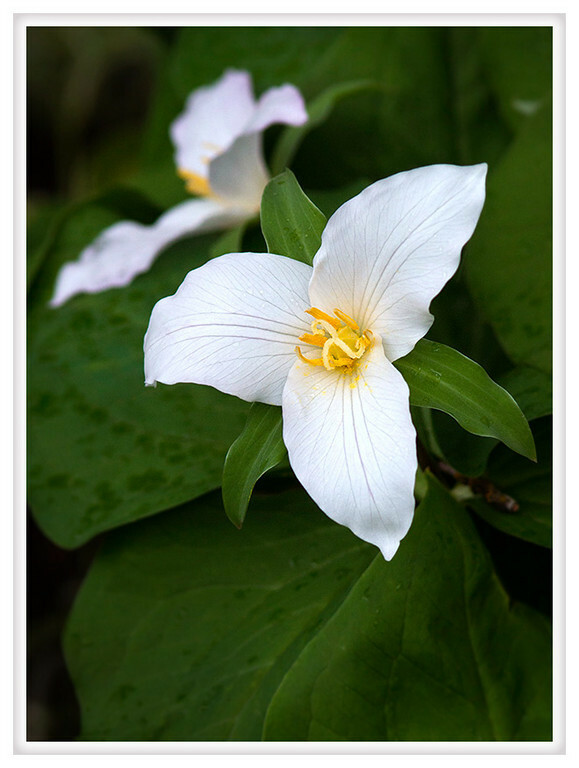 The trillium would be a better choice. These delicate flowers flourish in the rich soil so common on the shady forest floor. Substantial damage is caused to the plant when the flowers are picked and for many the recovery takes years. Their seeds are dispersed by ants who carry the aromatic rotting fruit back to their colony where it is eaten and the seed discarded in their highly nutritious garbage piles.